I love weekends. I love them for many reasons. One of my favorite things to do on a weekend is to make a really good breakfast. It does not have to be fancy. 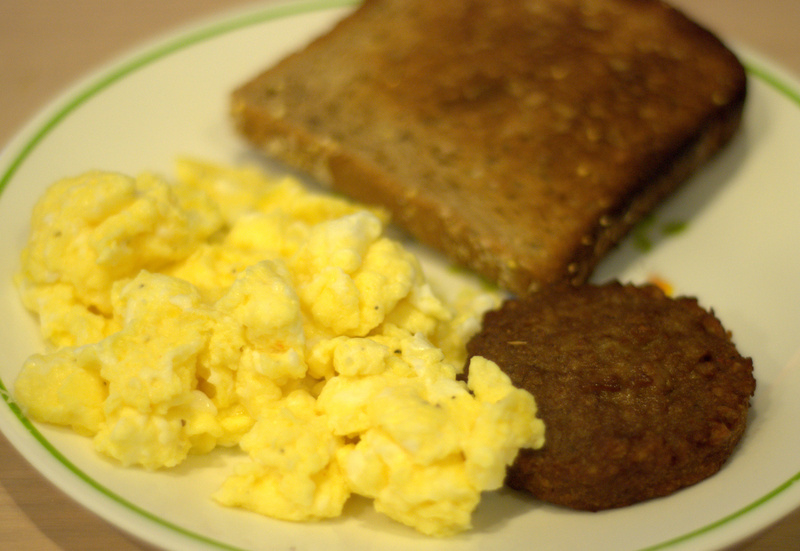 Perfectly cooked scrambled eggs and some whole grain toast with a veggie “sausage” is a simple, nutritious and delicious breakfast that is great for a weekend and is easy and quick enough for any day of the week. 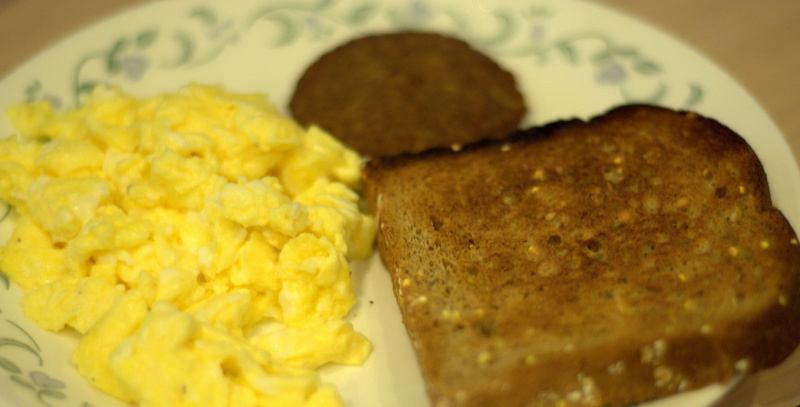 Most people know how to make scrambled eggs. 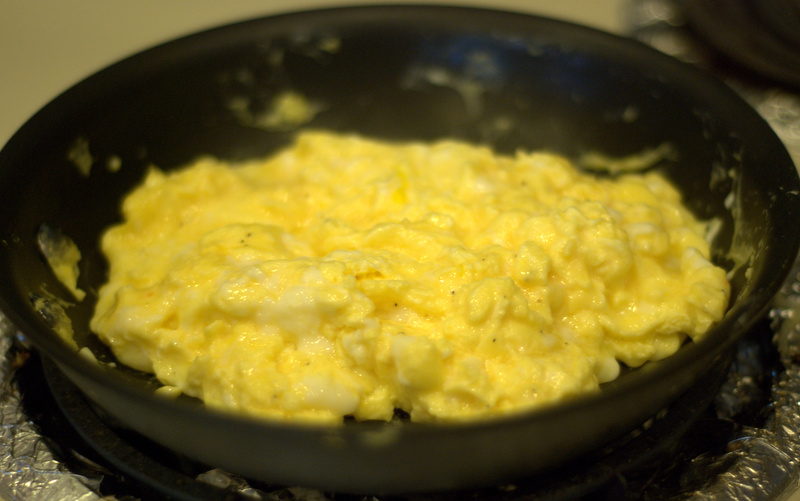 However, do you know how to make perfect scrambled eggs? If I am out and order eggs I find them to either be too runny or way over cooked. They key to perfect scrambled eggs is a nonstick frying pan, enough fat to cook the eggs in and to cook them low and slow while constantly stirring them with a rubber spatula. If you follow this recipe and this technique your scrambled eggs will come out fluffy and perfect every time. The other secret to my scrambled eggs is a dash or two of hot sauce. It is not enough to make the eggs spicy, but enough to add a great flavor. Whenever I make these eggs people always ask what makes them so good. It is the hot sauce – you have to try it! Heat the olive oil in an 8 inch skillet over medium-low heat. 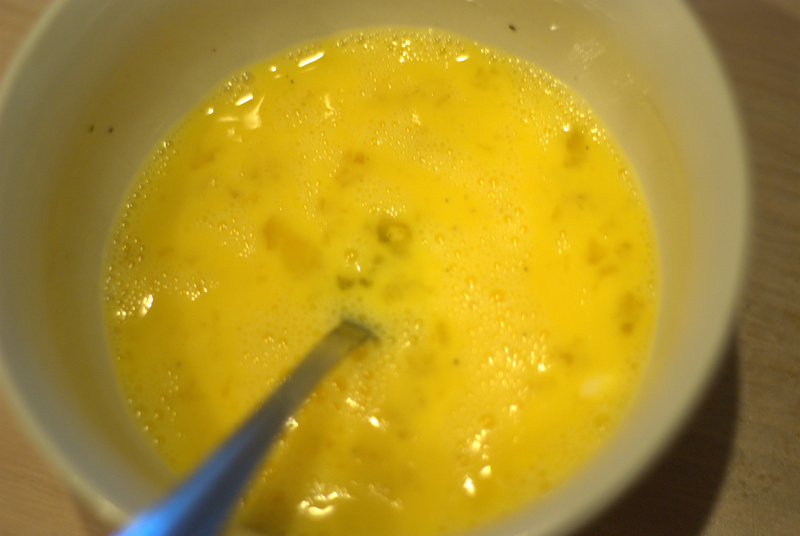 Beat the eggs and add the milk, hot sauce, a pinch of salt and pepper. Beat until it is all combined and frothy. Pour the eggs into the frying pan and lower the heat to low. Slowly stir the eggs with a rubber spatula. Keep stirring the eggs pulling the cooked eggs away from the sides of the pan. Keep the eggs moving until just cooked through and firm. Love the idea of adding hot sauce. You will have to let me know how it comes out!